REDUCED PRICE!! 2013 Dethleffs Beduin 760 Touring Caravan For Sale In Benidorm, Costa Blanca, Spain. 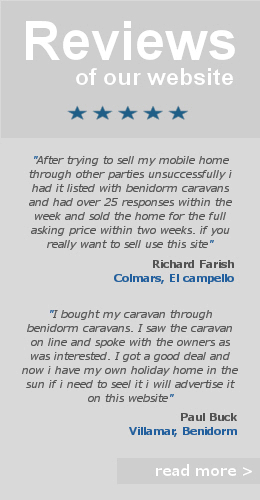 Used Caravans For Sale In Benidorm. Immaculate 2013 Model Dethleffs Beduin 760 Caravan with ‘4 Seasons’ German made DWT Zelte Awning. Currently parked on Camping Almafra Caravan Park, near to Benidorm, Albir & Altea. Ownership papers present. There’s a Queen size island bed at one side and spacious dining area (with soft leather finish) at the front. A new TV is included in the sale. Fully fitted kitchen with gas stove, built in fridge freezer and soft close doors & drawers. The centre of the Caravan can be separated by various configurations of the doors which opens up into an en-suite WC & shower room with a recently installed ‘grinder’ toilet for direct waste to mains. The ‘4 Seasons’ DWT Zelte German Awning has been manufactured with extreme weather conditions in mind. The oversized heavy duty poles allow minimal movement. Everything included, ready to camp or tour. Too many upgrades to list and needs to be seen to fully appreciate. Available to view by appointment only. 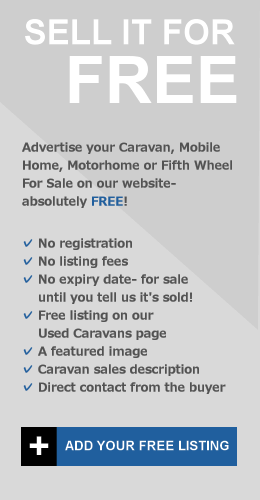 Interested In This Caravan? Contact The Seller Directly By Filling Out The Contact Form Below..
Used & Pre owned Caravans For sale In Benidorm, Albir & Altea, Costa Blanca, Spain.